Today we went up to Medicine Lake to do some boating activites. Since I won't be able to make it up to my cottage this year I was glad I got to do that before summer ended. I really think I'm having the best summer ever. Well, I say that every year so I'm not sure, but this summer has been pretty great. 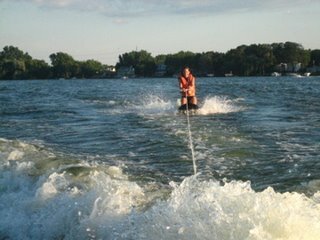 Yep that's me kneeboarding. My first time too, I was pretty proud of myself. I'm working a lot now. 60 hours this week. It's good money, but now I won't be able to enjoy the rest of my summer. I don't have time to go the beach or for any bike rides anymore. Working at the mall of america isn't such a good idea either, I keep wanting to buy things. Gnarls Barkley was there a few days ago, so maybe I'll see some celebrities. This one is boring, June was the only fun month. Remember that one time. 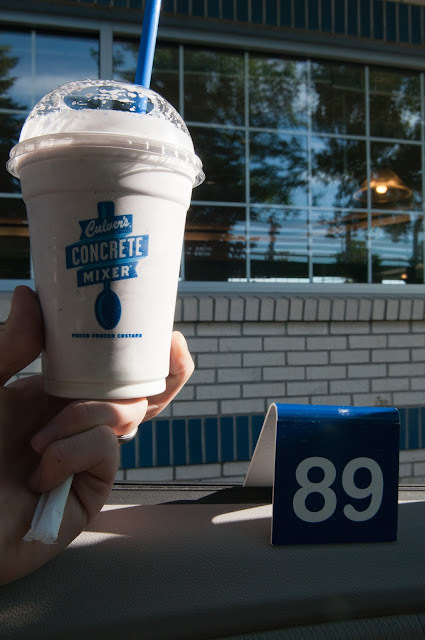 The end of Summer. Oh yeah. . .I do, very well.